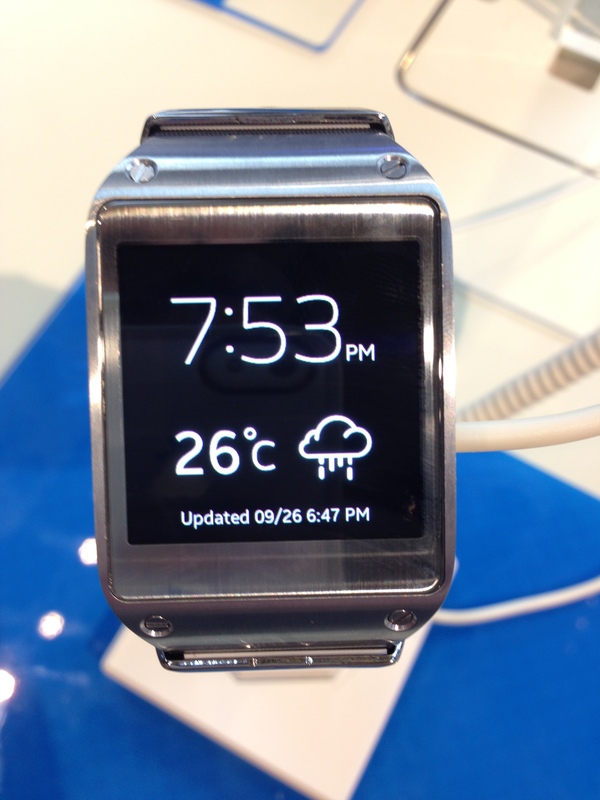 One of the most anticipated gadgets this year, the Samsung Galaxy Gear can almost do what your smartphone can do. Samsung’s intention is to lessen your time with your smartphone especially with doing basic tasks so that you don’t need to take out your phone from your bag or pocket. Let’s go into the specs. Screen – The 1.63 inch screen has a bright and vibrant display thanks to its Super AMOLED panel. Apps – There are already preloaded apps which are quite useful like the Pedometer, Media Controller, Weather and S Voice. Unique Features – One of its outstanding features is the ability to make or take calls which is the real game changer here. Camera – James Bond? 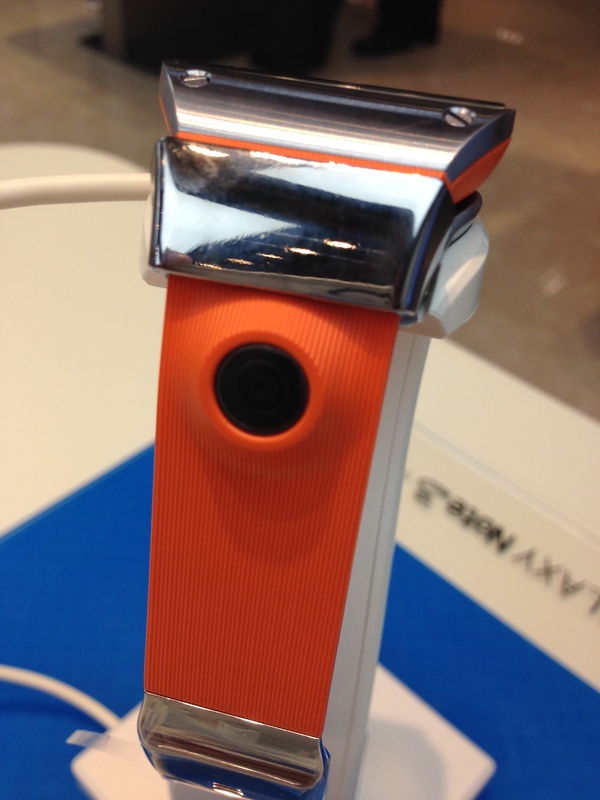 I think this is the first smartwatch equipped with a camera. Perfect for spying. Hehehe! Design – It lacks the premium feel. The design reminds me of those Casio digital watches. Lack of Apps – There are a lot of potential and useful apps fit for the Gear. 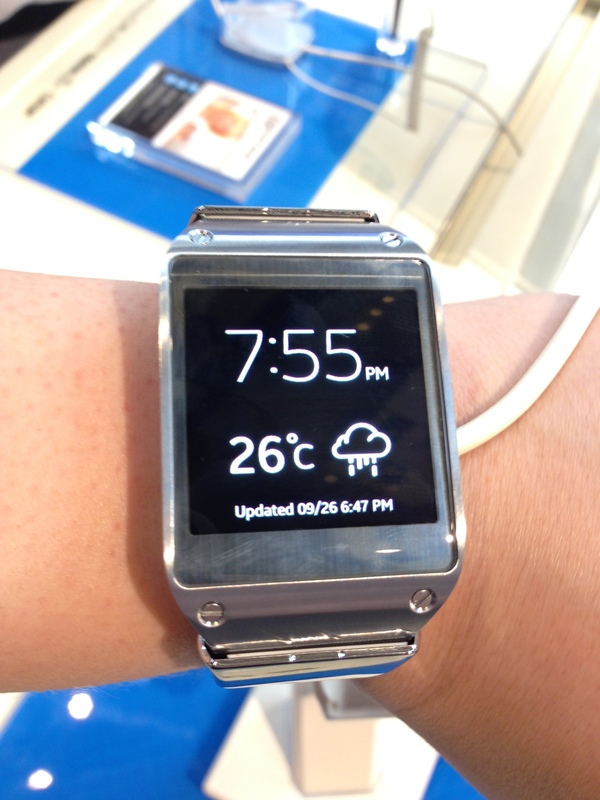 Samsung should encourage developers to develop apps specifically for this smartwatch. I’ve been asking myself and even my friends. Is it worth buying for P13,990? Well personally, if I have the money and own a Samsung Galaxy Note, I will definitely buy this. 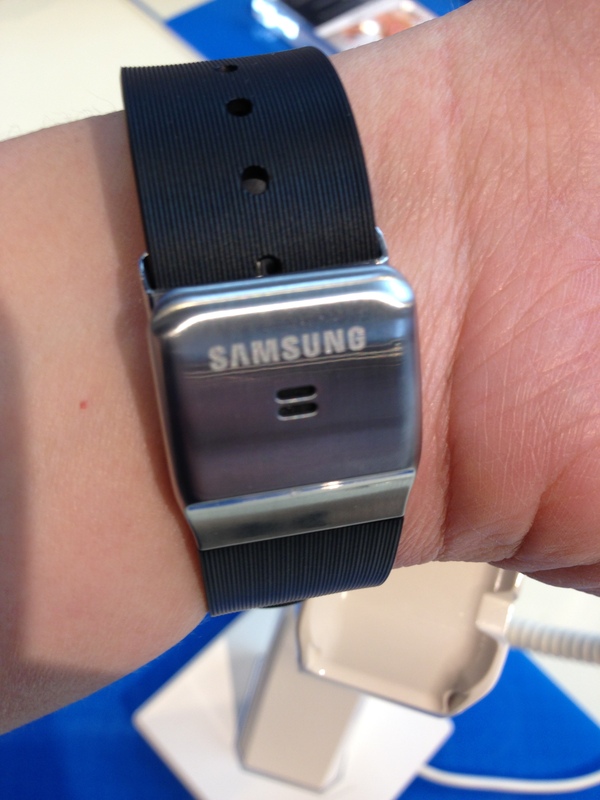 The problem though, I will not spend P36,990 for a new Galaxy Note 3 and P13,990 for the Galaxy Gear. I have no plans of upgrading or should I say switching to Samsung since I’m still in love with my Apple iPhone 5.